I recently came into possession of two large boxes of blueberries, thanks to the one day sale at Whole Foods where you could buy a case of organic blueberries for $21 bucks (regular price would be about $60). 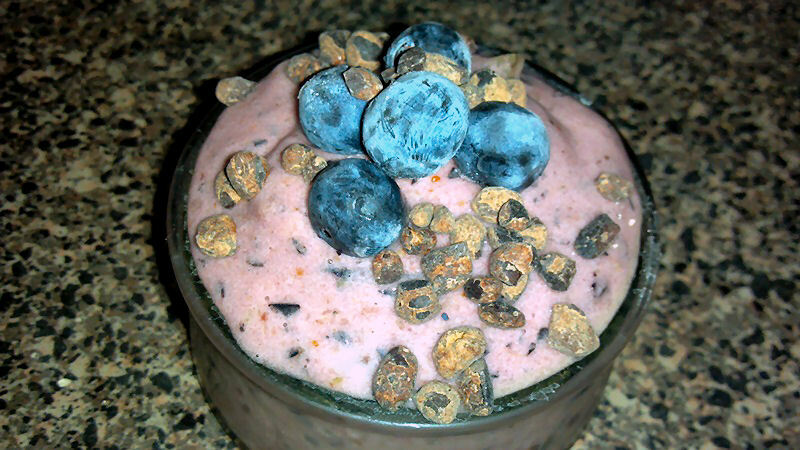 So, I have been whipping up all kinds of blueberry delights. 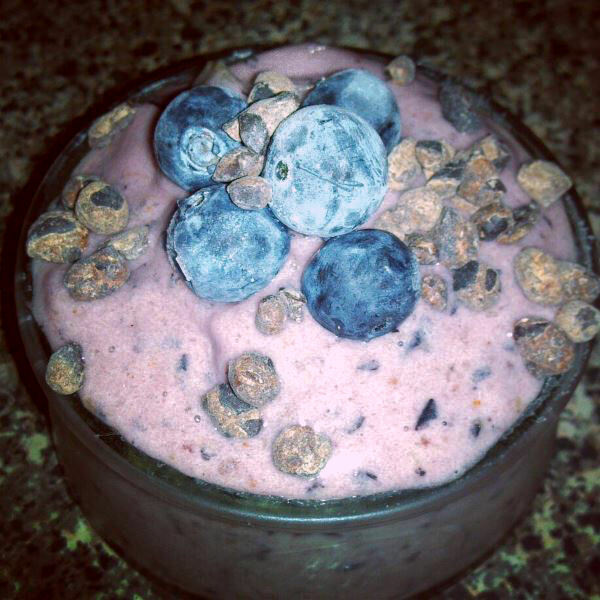 This is THE BEST ice cream recipe, three ingredients only, no added sugars and soooo easy to make! You will also need 1/3 cup raw cacao nibs for our chocolate chips to add in later. And that’s it! 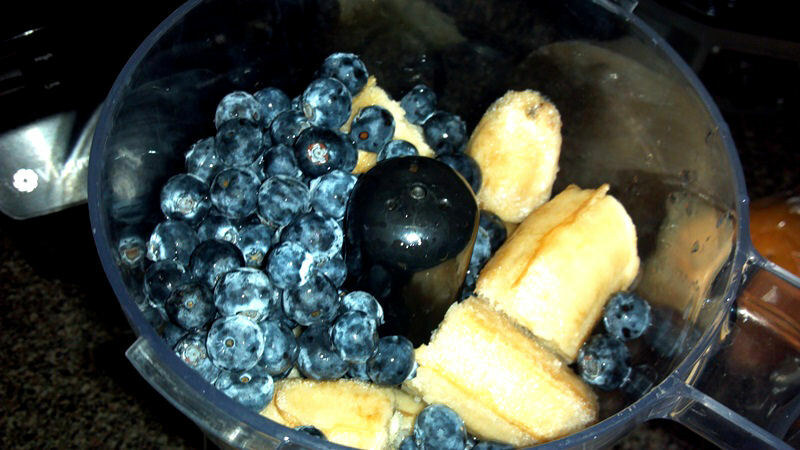 Now we are going to pulse/blend the bananas and blueberries together, until they become one beautiful, purple, creamy mixture. 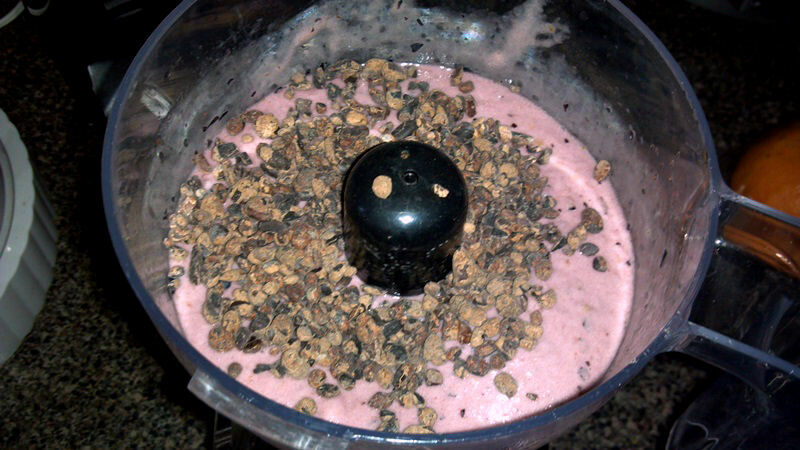 Once the cacao nibs are mixed in, you can spoon it out and serve, or put it in the freezer to harden it up more. Me personally, I just like to dish it out, top with more chocolate chips and blueberries, and eat away. That’s it! Three ingredients, total prep time 5 minutes. Perfect, simple, delicious and nutritious!